Custom floor graphics can be produced in a variety of shapes & sizes, they will adhere to any smooth, clean surface & are easy to install & remove, there are many promotional advantages over other point of sale products, whether it’s a supermarket or an exhibition floor, floor graphics have a unique eye catching presence. All floor graphics are printed in high quality on to removable vinyl with an anti-slip floor laminate. With options available for use indoors and out we can produce any design and shape you like. Available in a range of standard and custom sizes. 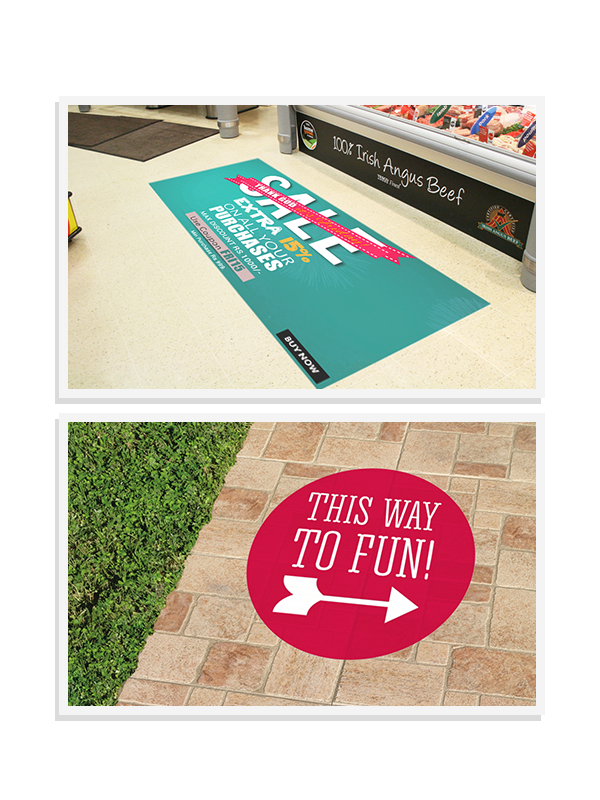 Attract people’s eyes as they walk with durable pavement graphics. On concrete, asphalt or sidewalks, pavement graphics help draw attention to your message in a unique way. Our foil based products for indoor and outdoor advertising graphics set the industry standard for quality and ease of use. Key points to know about Floor graphics. 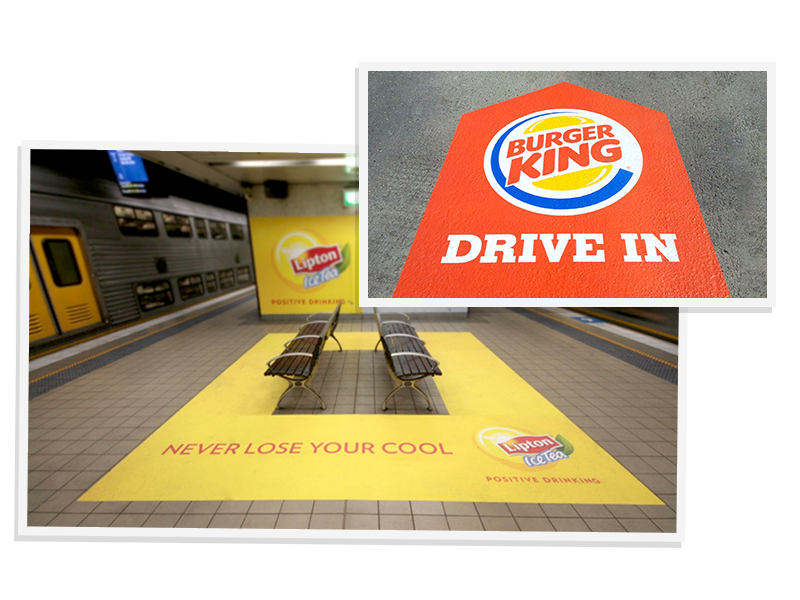 Floor graphics can be made to any size and variety of material choices available. Design your floor graphics any way you want! Full color digital printing is available for all type of graphics.